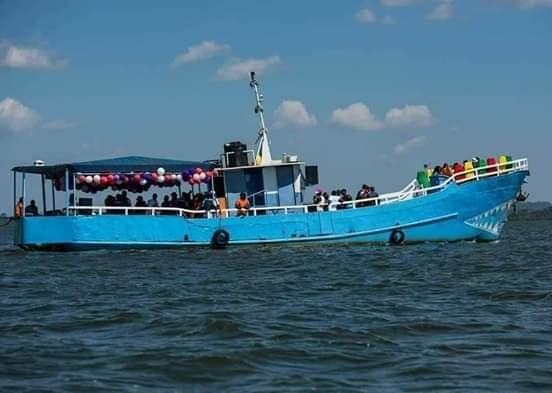 MUTIMA BEACH – A joint force comprising Uganda People’s Defense Force (UPDF] and Uganda Police marine units have embarked on another attempt to retrieve the wreckage of MV-K Palm from Lake Victoria. 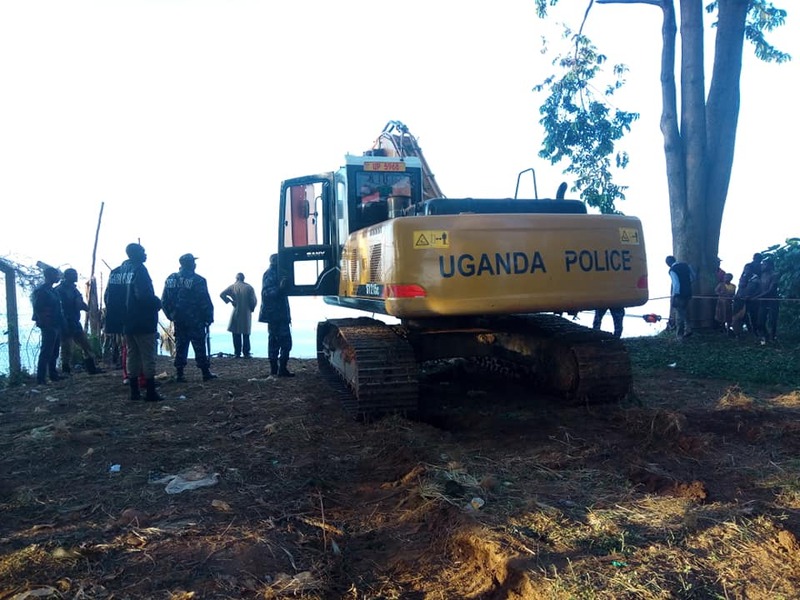 In the new attempt, the force has resorted to a tractor and excavator to pull the wreckage from the Lake after MV Kalangala failed on two attempts. This is the sixth day of search and rescue of the bodies after a boat capsized on weekend leading to death of 33 people with tens still missing. Asuman Mugyenyi, the Director of Operations Uganda Police Force on Wednesday delivered a 400m steel cable valued at Shillings 72 million to be used to pull the wreckage. By 7am, on Thursday morning, a team of police officers were seen tying the steel cable on the tractor ready to resume to the operation. They plan to fasten the steel cable on the wreckage and pull it using the tractor and excavator. Engineer George Wasipokoli from the Works and Transport Ministry who is supervising the operation, says they are currently working in the dark because they haven’t able to ascertain the weight of the boat. The boat is currently 4.9metres under the lake. “We are just trying everything. Like yesterday we had a crane of 30tonnes but it failed. Now we have brought something stronger,” Eng. Wasipokoli said. MV-K Palm capsized at around 8pm on November 24 with more than 100 revelers traveling from Gabba to K Palm beach in Mukono District for a party reportedly organised by Prince David Kintu Wasajja. The boat capsized about 150metres off the shores of Mutima beach in Mpatta Sub County in Mukono.